With house projects unfolding and school work and the hockey season in full swing we needed something else to keep us going and what better than to host a Fulbright scholar from Manipur, India. Chong Shimray was visiting the United States for a couple of months and we helped out by putting her up in the cabin and ferrying her about for a couple of weeks. She took some time getting her bearings here, but was soon cooking and joining in the family routine. Among other things, she made a good dent in the bucket of hot peppers still left over from the fall that I have not made the time to pickle. We had a wonderful time hosting our Indian friend. 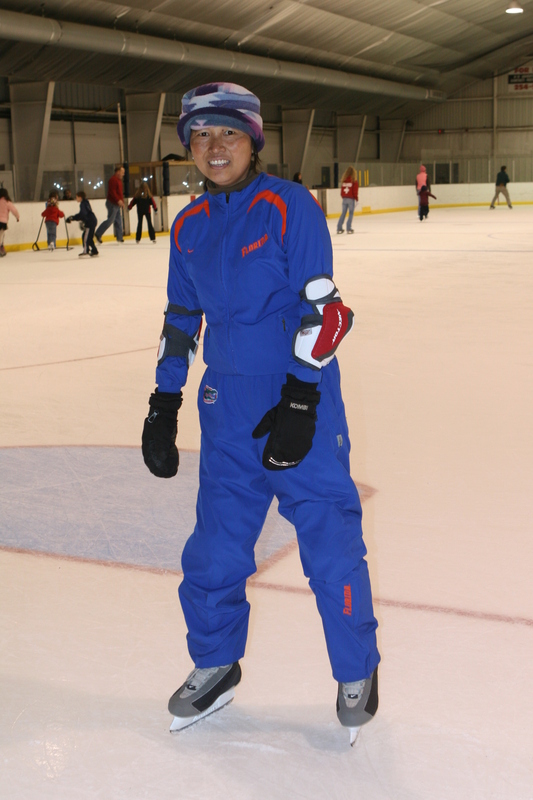 In addition to eating Indian food, Chong wanted to see snow, but with winter holding back we took her to the ice rink instead, where she put on ice skates for the first time in her life. One Response to "A Fulbright Scholar"